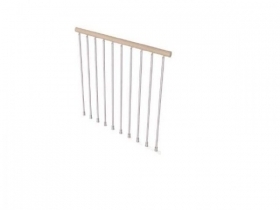 Additional Railing in sections of 120 cm is necessary to protect the upper floor opening. The handrail consists of balusters made of painted steel and cables made from stainless steel, crossed the 4 ways. It is possible to calculate the number of balusters needed on the outside stairs. Balusters are represented by points on the outer side. 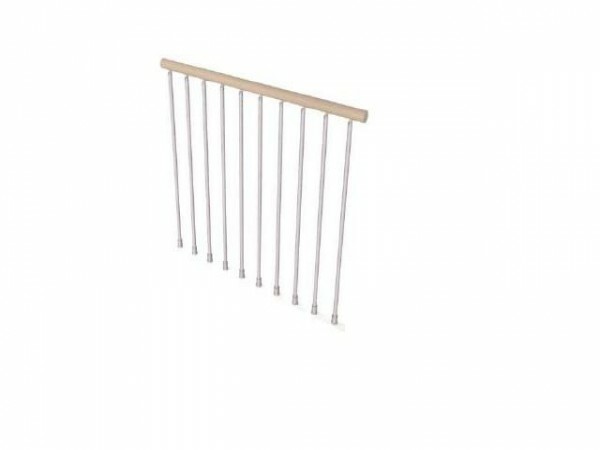 The outer handrail expands dimension of the stairs about 5 cm.